#1: Leaving Out Financial Details. Your lender will review your financial information in detail with you to make sure no pieces of the puzzle are missing. Yes, your lender will go through and fill out everything before the mortgage is turned in, but you can speed up the process by providing as many financial details as possible. Keep in mind that your lender will be running your credit score as part of the mortgage process. If he finds anything that is concerning throughout this process, s/he will not hesitate to contact you to ask for additional documentation. If you do not provide everything upfront, your mortgage will be delayed. #3: Mistaking Pre-Approval For Approval. 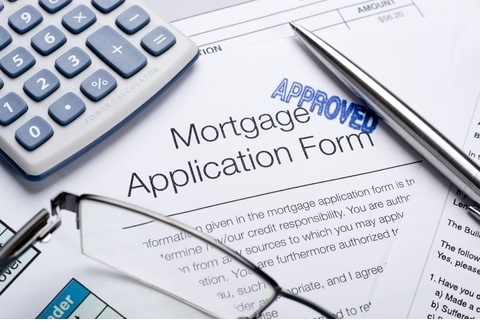 If you have been pre-approved for a mortgage, that is great! This means that you have done your research and have been "okayed" to buy a home for a certain loan amount. However, this does not mean you have been pre-approved for a mortgage. For a pre-approval to officially pass over to a mortgage approval, you will need to have the underwriting approved; you will also need to have a formal written loan commitment. #4: Not Detailing Home Offer Details With the Lender. When you buy your new home, the purchase contract will detail financial milestones such as when you need to have loan approval secured by and in how many days you need to close on the home. Your lender will need to work directly with your real estate agent to provide these dates; failure to share the details with your lender can cause you to lose the home. When your offer is accepted, you need to understand that you are locked into that specific rate for the duration of your mortgage. Rates change and fluctuate depending on the state of the market and are priced on how long they are locked into the contract. Ask your lender to give you a rate quote based on exactly when you will be closing on your home. Make sure your lender is accounting for the possibility of a higher home rate so that you can still qualify for the home if rates change during the home buying process.